Interested in iPhone, iPad, or Apple and looking to have some great conversations? Got a burning question or frustrating problem you just want help fixing? Already an expert and eager to share your knowledge? Well, all that and more is just waiting for you in the iMore forums. If you have not already downloaded our free iMore for iPhone application please do so and give us your feedback! If you already have a Mobile Nations, FaceBook, Twitter, Google or Microsoft Account, simply log in and start posting. 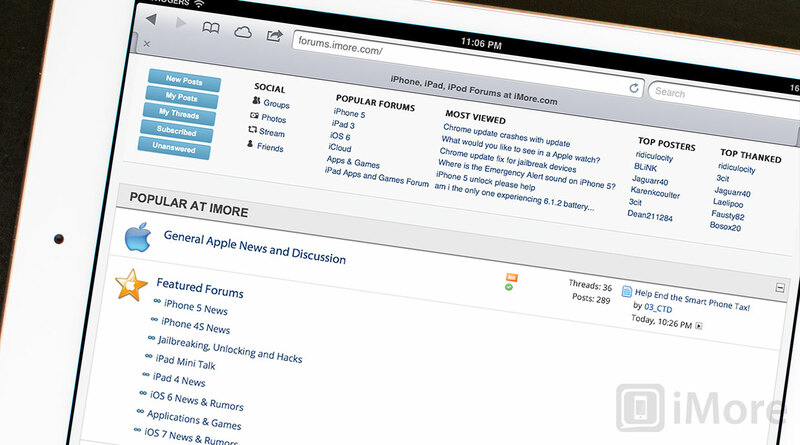 Otherwise, register now, and don't forget to download our free iMore Forums app for iPhone and iPad!